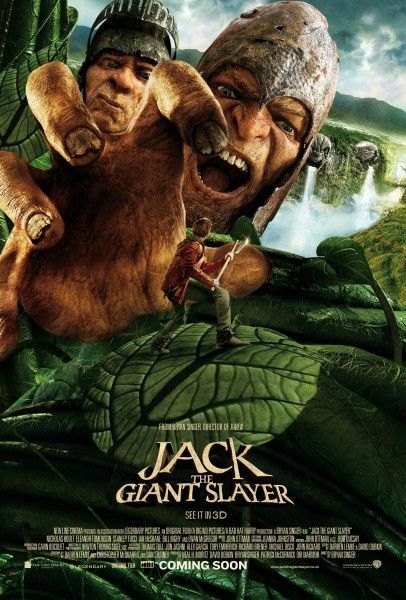 Bryan Singer’s fantasy-adventure film Jack the Giant Slayer is now playing in theaters. 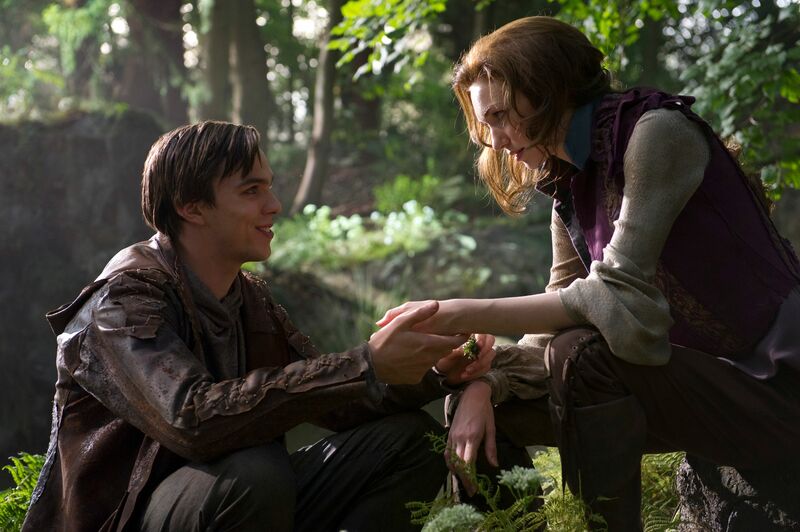 Starring Nicholas Hoult (X-Men: First Class) as the title character, the big-budget fairy tale follows Jack the farmer as he leads an expedition into the land of the giants in order to rescue a kidnapped princess (Eleanor Tomlinson). The film also stars Ian McShane, Ewan McGregor, Stanley Tucci, Eddie Marsan, Bill Nighy and Warwick Davis. Recently, I landed an exclusive phone interview with Tomlinson, who plays Princess Isabelle. We talked about making the movie, script changes, doing press, how she got into acting and landed this role, filming with 3D cameras and CGI monsters, collaborating with Singer, deleted scenes and more. In addition, we also talked about Siberian Education with John Malkovich, and her upcoming TV series White Queen. Hit the jump for what she had to say. A lot of people act for a very long time before they’re forced to do about 100 interviews so what the hell has the last few days been like for you? 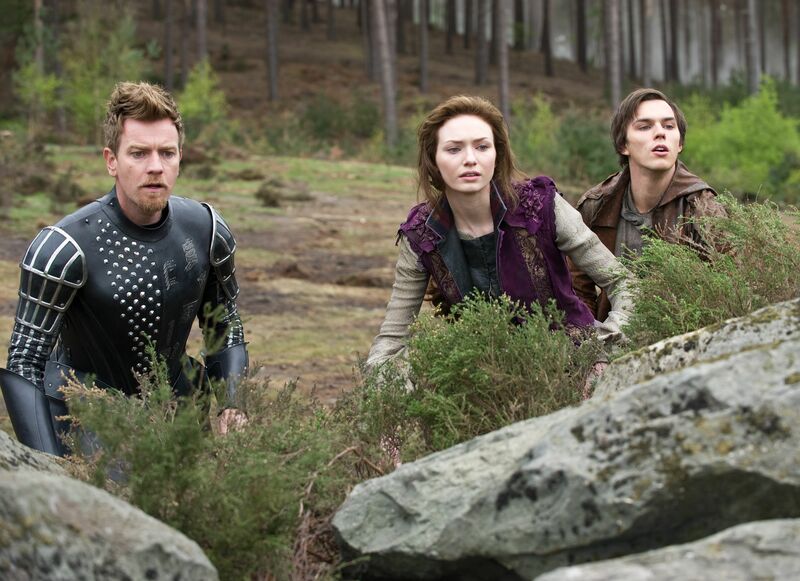 ELEANOR TOMLINSON: It’s been amazing, it’s been very kind of tiring, but at the same time it’s fantastic to be publicizing a movie that I loved working on so much. How did you first get into acting, I know your family’s into it, but how did you first want to do it? TOMLINSON: Well, mom and dad are both actors, and I’ve spent a lot of time watching my mom on stage and a lot of time on set with my dad, so it was very much a part of my growing up. I really loved watching them. I loved seeing how they handled it and it just really interested me from a young age. I decided that I wanted to give it a go and my dad’s agent came to the house and I actually wouldn’t let her leave without representing me. So, yeah, pretty feisty little kid. What was the one thing that you remember most about what to do or what not to do when on a movie set? TOMLINSON: Wow, I think you grow all the time when you’re working. You start the job and by the end of it, if it’s a long one, you kind of say, “My god, I was so different at the start of this job.” I always feel like I’ve changed for the better with each one. What not to do… not have an ego in any way. That was what was so fantastic about this job was that we had some of the most enormous movie stars on it and yet we all just became like a family, like really good mates. There were no egos and it was great fun to work with people like that and be inspired by them. Talk a little bit about getting the gig on this one. How many auditions did you go through? Talk a little bit about the process of actually landing this. TOMLINSON: So it was 7 auditions for me in total, one of which was a chemistry read and the other was a theatrical read-through with all the cast being there and I still hadn’t been offered the part. So it was extremely nerve-wracking, it’s kind of very rare for that to happen. It was a nerve wracking experience from day one really and when I got the part I was with my mom in my hometown, this sort of country village and I just remember- you can’t describe a feeling like that, I fell over add screamed and cried and laughed all at the same time, it was just absolutely unbelievable. It’s been the most amazing experience and what an opportunity. From when you first got the script when you were doing that read through and first on the project to what we all saw on screen, how much did the script change along the way and how much did it change for your character Princess Isabelle? TOMLINSON: It actually changed quite a bit. In the initial script, the version that we actually shot, where Isabelle turns up at Jacks house she’s actually pretending to be a boy and she’s kind of lowered her voice because she doesn’t want to be recognized as the princess. We had this whole kind of comedy moment of her pretending her name was John and unfortunately when it came to the actual edit we just felt that it didn’t really work as well as we hoped it would, so they changed it back and she was kind of always just the princess in disguise from then on. It was constantly changing which was a challenge in itself because sometimes you would get to work and Bryan would have changed the script and rightly so. He made it better, every change he made he made for a reason, and he did make it better. So you’re constantly kind of on your toes because you weren’t entirely sure what was going to be required of you, and I kind of like that. Everything he did, he did because he’s so experienced in film that he knew these changes had to happen, because he’s a brilliant storyteller. I trusted him implicitly and that’s really something that you need in an actor/director relationship. Talk a little bit about deleted scenes, were there any scenes that you were sad to see go? TOMLINSON: Yeah, well to be honest, like I said, when we were filming it the script was changing all the time. We actually shot and entire dream sequence, memory type sequence with Eric the Great and his story of how he defeated the giants. I think they just thought that they didn’t need that in the edit afterwards. It’s all kind of said with the golden egg that jack picks up from Gantua and it’s kind of nice not to harp on about that side of it. It’s nice to just keep it about Jack and Isabelle and their story of how they conquered the giants. Talk a little bit about filming in 3D and the fact that you’re working with giants that are obviously being added in with CGI. That has to be a challenging process as an actor. TOMLINSON: Yeah it’s just very different; it’s a very different type of acting because obviously you’re responding to something that isn’t there. You’re looking at tennis balls, for instance, but we had a brilliant visual effects team, they were very helpful. Obviously Bryan is brilliant at explaining to you exactly what’s in the scene and where it’s going to go, he shows exactly what the giants look like, and they’ve already shot the motion capture so they know how they’re going to move. You basically have to almost choreograph your movements in order to fit so that it doesn’t look silly, so that you’re really reacting with the giant, as it were. So yeah, that was very interesting to get used to because it’s obviously the first time I’ve come across that and yeah, it was kind of just deciphering what works and what doesn’t. It was a real experience. Some actors prefer the 2 take method of Clint Eastwood, while others prefer the 50 take method of David Fincher. What do you like to do and what is the most amount of takes you’ve ever done? TOMLINSON: We did a lot on Jack. The scene in the cathedral we kept going for it, Bryan kept pushing me trying to- he would always say “Just do it again, but do it differently” and not necessarily be specific, which can be brilliant for an actor but it can also be like you feel like you’re not hitting the beats he wants and you’re not sure why. But he was just giving me the space to play with the character and make it my own, which was really kind of cool and very interesting. I never trust anything that can be captured in 2 takes. I like to kind of change my performance so that there’s more to play with in the editing suite. At the same time I think by the time you’ve done say 55 takes you’re exhausted and you’ve kind of lost the power behind it that you had on take #1 or take #2. Something between, I don’t know, obviously for film because it’s a bigger budget they’ve got more time, they can afford to do more takes. For instance, I’ve just finished doing a TV series and it is a lot faster so that kind of took some getting used to. If I’m not mistaken you recently worked with John Malkovich. TOMLINSON: Yes I did. I did a film called Siberian Education with him. I’ve actually just seen the movie and it’s terrific, I’m really pleased with it. It’s very, very different to Jack. Talk a little bit about who you play in that and what it’s about. TOMLINSON: It’s about Siberian culture and it’s about gangs, protection, and groups. It’s a really, really interesting movie. It’s a true story. it’s based on a book by Nicolai Lilin. I play a character called Xenia who is a Russian mentally challenged girl, she comes to this village and she bonds with a group of guys, one of them becomes her best friend, and the other one who kind of goes to prison, has a bad experience, and comes out of it very bitter and actually rapes her. So that was a really difficult role to play so it’s nice to have something totally different. That’s a radically different role. TOMLINSON: Yeah it is, it is, but it’s great to have that. That’s kind of what I aim for with my work is to try different challenging things and embrace new roles. I see on the always accurate IMDB that there are a few projects you might be doing next, do you know what’s coming up for you yet? TOMLINSON: No, not yet. I’m waiting to see what Jack brings, obviously I’m looking forward to the release of Siberian Education and I’ve got this TV series called the White Queen coming out so that’ll be good.